Table Per Class strategy is the most logical inheritance solution because it mirrors the object model in the data model. 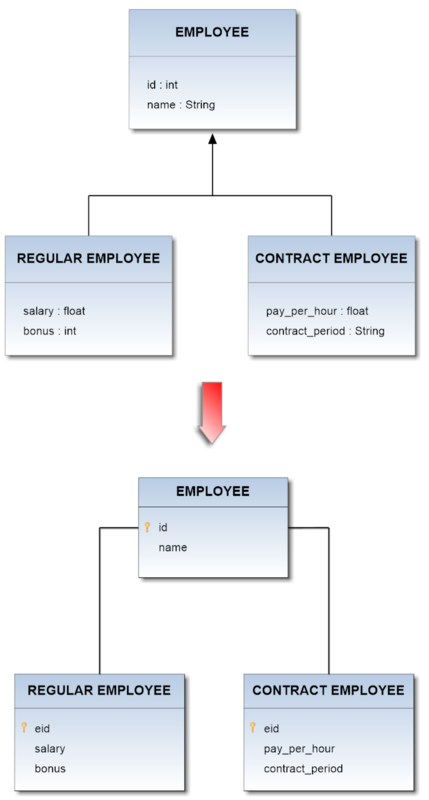 In this pattern a table is defined for each class in the inheritance hierarchy to store only the local attributes of that class. All classes in the hierarchy must share the same id attribute. Some JPA providers support Table Per Class Inheritance with or without a discriminator column, some required the discriminator column, and some don&apos;t support the discriminator column. This pattern doesn&apos;t seem to be fully standardized yet. On Hibernate a discriminator column is supported but not required.